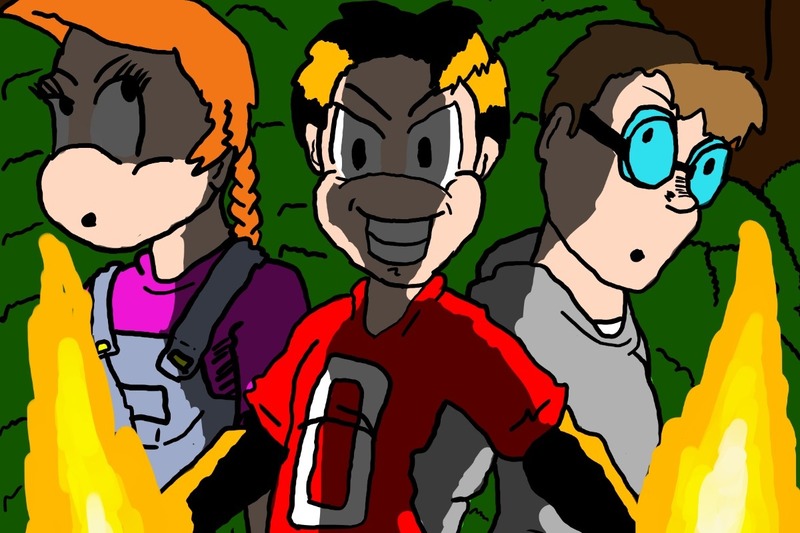 Turpentine Valley Adventures is a comic many years in the making and has taken several forms over the years. Starting out as a comic my brother and I drew and colored with color pencils before putting it up on the fridge, morphing into a weekly comic posted on myspace and then later a weekly comic posted on facebook and then into a short lived monthly digital comic sold through Amazon's Kindle. Now the story is refined, the characters set, and the plot crafted the comic is ready for it's official release to the world. First appearing at the Saint Tammany Collector's convention in the form of Issue 0, Turpentine Valley Adventures has finally entered the world of Printed issues and it is my dream to bring this story to the masses in print for it's full run. Issue one is set to be released in March of 2019. It is already written, it is already inked and soon will be colored and finished and ready to be printed. A print shop is waiting for the order and the book is waiting on the library of congress to issue it's unique ISSN. So you've probably already figured out what is stopping me. Money. It takes alot of money to print and in order to justify that I need to see that a lot of people will want this comic. So here we are at the point where I say to you this isn't a usual go fund me. This go fund me isn't asking for a money to do something. This is literally a pre-order platform. When you donate to this you are pre-ordering this comic to be shipped directly to your house. So before you help bring the valley to life you likely would want to know just what is Turpentine Valley about. In the Fictional Town of Turpentine Valley Teenage couple Bob Boyd and Shelly Smith are exposed to radiation from a genetically engineered Duck which unlocks powers that were suppressed shortly after their birth. Now a secret government organization wants them under control while the super powered parents of these teens are hell bent on keeping their children free to grow up as nature intended them. Issue 1 picks up some time after Issue 0. The teenagers have come to terms with their powers but now bits of the past are starting to show and Bob's mom worries that the past will repeat itself if she and her friend Spencer can't find a way balance being super humans and being average people. Now onto the donation amounts and what you get. As I said this is a pre-order. Anything under $5.00 is helpful and will grant you a spot on a special thanks list located in the inner covers both front and back on the first issue. $5.00 - You pre-ordered an issue. $6.00 - You pre-ordered a signed issue. So you're probably wondering "But Matt, What happens if you don't make your goal?" Have no fear! Provide an email address as well as a physical and in the event that we don't meet the goal in time I will get back the portion of the donation that would have been for shipping and will release the comic digitally and all those who have donated will still get their issue 1. If you have any further question prior to supporting this project do not hesitate to ask me.